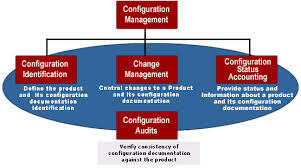 Configuration management is a systems engineering procedure for establishing and maintaining consistency of the product’s performance, functional and physical attributes featuring a requirements, design and operational information all through its life. Configuration management would be the detailed recording and updating of information that describes a enterprise’s hardware and software. The primary advantages to formal configuration management is resulting project together with good change administration, as evidenced through changes which have been properly identified, organized and linked.